So I married a man who doesn't dislike Halloween as much as I do... in fact, he really likes it. Therefore, I had to put on my "good sport" pants and go all out for a costume this year... thankfully he let me choose our costumes! 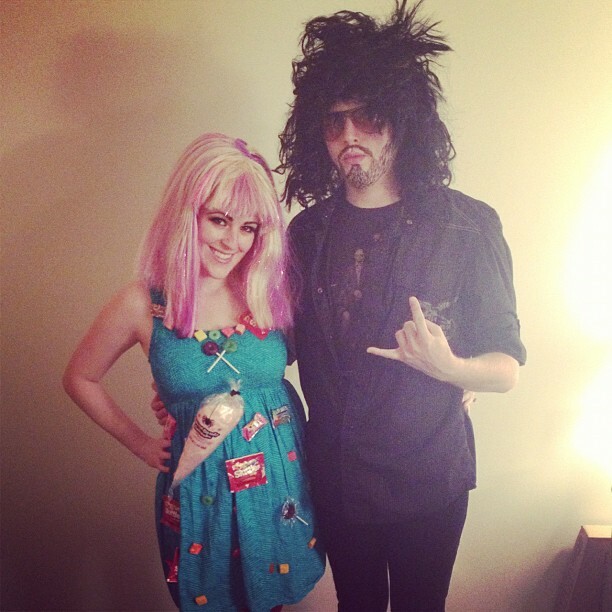 We went as Russel Brand and Katy Perry!! Total: $33 for both of us! We had a big party at my boss' house on Sunday night and we won a gift card for "Best Costume." Maybe this dressing up stuff isn't so bad afterall? What are you doing for this Halloween?